Native American tribes were sovereign nations long before Europeans arrived in America. Eventually, European settlers pushed Native American tribes into smaller and smaller pieces of land and their sovereign power was weakened. While the Native American tribes’ existence as an independent nation was recognized in Cherokee Nation v. Georgia, the U.S. Government’s treatment of the Native American tribes was less than respectful. Native Americans continued to lose their land and have their culture attacked. Things changed, somewhat, with the introduction of the Indian Reorganization Act of 1934. The U.S. Government recognized the Native American’s tribal sovereignty and stopped taking Native American land. Tribal sovereignty has created some interesting results. It allows the tribe to have “all powers of self-government except those relinquished under treaty with the United States, those that Congress has expressly extinguished, and those that federal courts have ruled are subject to existing federal law or are inconsistent with overriding national policies.” Each Native American tribe is recognized as a sovereign nation existing within the territory of the U.S. and is in control of its own laws. Thus, jurisdiction can become messy for any crimes involving a Native American, since a Native American tribe can have a slightly different set of laws than the surrounding state. The most well-known difference is in laws governing gambling. Native American tribes are not freely allowed to create casinos, but they face fewer restrictions than regular American citizens. Gambling on Native American reservations is controlled by federal law under the Indian Gaming Regulatory Act (IGRA). The IGRA allows Native American tribes to provide certain gambling like bingo without any state interaction, but the tribe must speak with the state before building a casino. Some Native American tribes had created casinos before the IGRA, and the states had no way to influence them. But, the exception to tribal sovereignty allows Congress to pass legislation, like the IGRA, and exert more control. Unfortunately, despite Native American gambling pulling in over $31 billion in 2016, gambling proceeds have not been much help to the average Native American. Less than half of Native American tribes participate in gambling, and Native Americans continue to face greater poverty levels than any other race. In 2015, 26.6 percent of Native Americans were living in poverty, which is almost twice the national poverty rate of 14.7 percent. 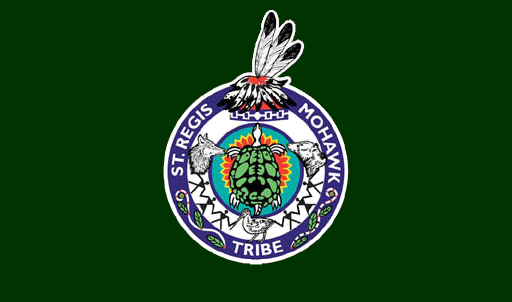 Under these conditions, the Saint Regis Mohawk Tribe (the Tribe) came up with a new strategy. In 2011, the America Invents Act was passed, allowing “inter partes review” (IPR) before the Patent Trial and Appeal Board (PTAB). IPR allows a person to bring a claim to invalidate a patent for a much lower price than the traditional method. For patent holding companies, IPR creates a fear of increased patent litigation. With this knowledge, the Tribe approached Allergan, a drug company, proposing that the Tribe hold Allergan’s patents. The intention was that the tribe’s sovereignty immunity would protect it from IPR, thus reducing the risk of patent litigation. Allergan’s production would not change, but they would pay the Tribe, as owners of the patent, an annual royalty of $15 million. In a recent case, Allergan’s patents were invalidated for obviousness. While the Tribe was added as a party to prevent future challenges, the judge in the case made it clear that he thought sovereign immunity “should not be treated as a monetizable commodity that can be purchased by private entities as part of a scheme to evade their legal responsibility[. ]” On October 5, a senator introduced a bill to ban schemes of this nature, which, under the exception of tribal sovereignty, could be the end of the Tribe’s aspirations. However, some feel that IPR is harmful to patents by forcing the defendant to appear in any state and allowing a plaintiff to file endless suits. Additionally, the PTAB has a record of invalidating most patents that are brought by IPR. From that perspective, the Tribe’s plan is the best way to fight injustice. Native American tribes are not in a good condition right now. While their rights have been recognized, many tribes still struggle with poverty. Thus, Native American tribes continue to seek ways to utilize their recognized tribal sovereignty to bring prosperity to their people.